Shortly after San Francisco's then-Mayor Dianne Feinstein married private equity financier Richard C. Blum in 1980, those who knew them called theirs "a marriage of the public and private sectors." 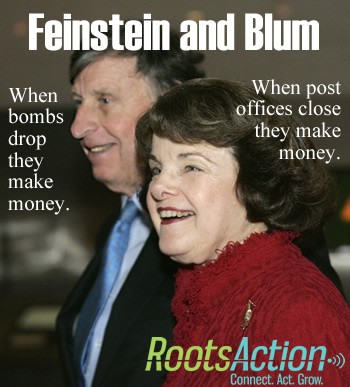 Ask your Senators to request an Ethics Committee investigation of Senator Dianne Feinstein now. Santa Cruz Indymedia: Conflict of Interest for Vice Chair of the UC Regents, Richard C. Blum?